Page 100! I’m really excited to finally be at 100 pages. Also, I’m super happy with the art on this one, I finally got Jugsy looking like she does in my head (don’t worry, it doesn’t last, I quickly forgot how to draw her again). In other news, I just want to give you another heads up that updates may be a bit wonky through mid September. I’ve got a lot of family coming into town and a lot of family getting married so the next few weeks are going to have me away from my computer a lot. There will be updates, I just can’t promise they’ll be on time. Twitter‘s going to be you friend for this one. There’s a new comic/art only twitter feed for MagNorth now, so if you don’t want to follow me personally, I super won’t be offended. It’s right here. 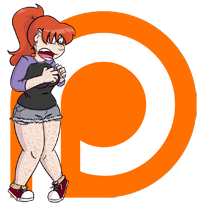 Also, it’s a new month so I’m going to remind y’all about the patreon, and also let y’all know there’s a ko-fi link in the sidebar now if patreon isn’t your thing. 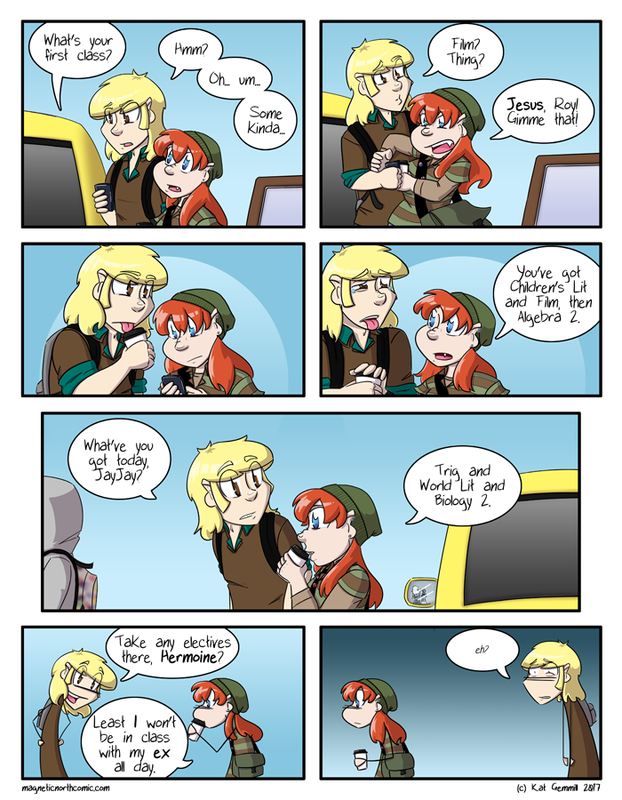 Every dollar y’all donate helps me out with domain costs and making the comic in general (ie, strong tea to stay up later and get up balls early to take care of my spawnling, baby sitters), so even if you can’t pledge or donate much, know that even telling others makes a huge difference in my little life. I love y’all, whether you’ve been around for 100+ pages, or 1, y’all make my world.